Why do I need to renew DeleteMe? Why is it a recurring subscription? Your information is always re-populating and reappearing on Spokeo, White Pages, Been Verified, Intelius. Renew DeleteMe. Back in 2012, we published an article about why our DeleteMe service is a recurring subscription, why it’s recommended that you always renew DeleteMe, and it’s not simply a 1-time thing. Now it’s 2018, there’s more data brokers and people search websites, and your personal information is being made public on more websites than ever before. So, why do you need to renew DeleteMe? Why is DeleteMe a recurring subscription service? The answer is simple: your personal information is constantly being re-populated on all of the major data broker websites. When I Opt Out, Will Data About Me Ever Reappear on BeenVerified? Once your opt-out has been processed, we will instruct our data partners not to return the record you opted out in future People Search results. At this time, we only provide an opt-out for our People Search service. Therefore, it is possible that your name might appear in search results for the other search services available through BeenVerified even after you opt out of People Search. Further, as described above, there may be times when one of our data partners provides us with a new record about you that is different enough from your existing, opted out record that we cannot match this new record to the existing record, and therefore cannot conclusively opt out the new record. Accordingly, if you have previously opted out and see a new record about you appear in our People Search results, please contact us at privacy@beenverified.com and we will be happy to help you remove that record as well. How Long Does it Take for My Record to Be Removed? Once you receive our email confirming that we have processed your opt-out request, your request will be reflected in our People Search results the next time our server refreshes. In most cases this will take 24 hours to take effect and then we encourage you to check for yourself. When you choose to opt out of Spokeo, we place a permanent flag on your listing so that it does not ever reappear on Spokeo.com. We are constantly receiving new and updated listings, and we try very hard to match these new listings to the existing ones and preserve your privacy preference. However, a computer cannot know the difference between “John Smith at 1234 Nowhere Street” and “John Smith at 5678 Somewhere Avenue”, though you may know that you moved. So if a new listing contains your new address, or if there are significant typos which prevent our computers from matching an existing listing, you will see a new listing for your name. We are constantly improving our matching algorithms in order to maintain your privacy. 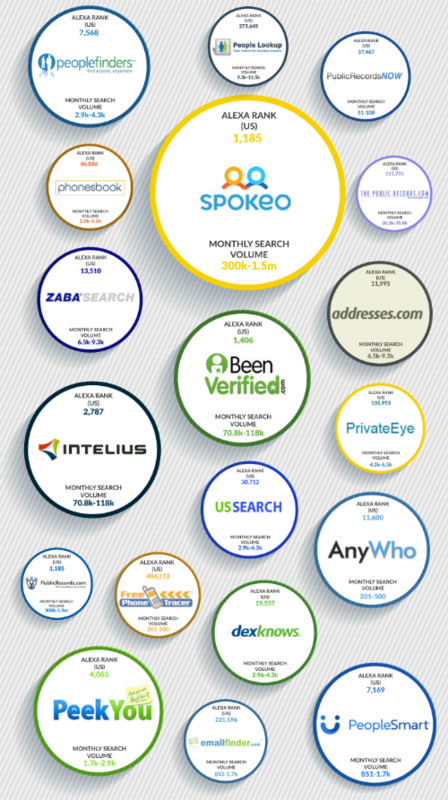 Spokeo guarantees that our opt out policy is among the best on the Internet. Once we have processed your request, your listing will be removed from our site. However, please keep in mind that we receive regular public records updates from our data partners and that it is possible our data partners may provide us with a new record about you that is different enough from your existing record (such as a variation of your name, combinations of records, and/or different addresses) that it may again appear on our site. If this happens, you can simply follow the same process to request removal of the new listing. What if i have more than one listing? We work hard to make sure there’s only one listing for each individual. If you see more than one likely result, consider whether it could be for someone else with the same name. Start by selecting the result that contains the most relevant information. Once it’s been removed, check back with us. If you still see a record containing details that are specific to you, you can submit and additional request. In 2012, we reported BeenVerified to the FTC after their failures to comply with their own opt-out processes. Essentially, they weren’t actually removing personal information listings like they were claiming to do so. Because information is constantly repopulating on these data broker websites, it’s extremely difficult for individuals to stay on top of their own private data across each one of the major data broker websites. That said, data brokers are able to continue to compile and publicize personal information listings without any sort of consequence. DeleteMe by Abine is a hands-free subscription service that will monitor your personal information listings on a quarterly basis. Every three months, we perform searches for your information across the leading data broker websites, removing everything that we find, and making sure it stays gone. If you can’t remove my personal info on the internet what guarantee do I have by continuing my subscription with ABINE when my name keeps popping on the websearch. Will you at least work with me on how to remove my information on Goggle. Bing. Aol. Ask. Yahoo. search engine. or from the websites?